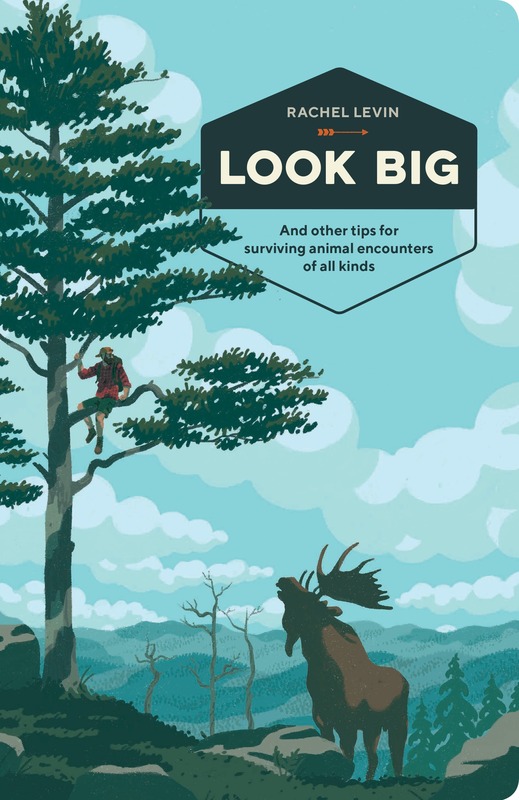 LOOK BIG is a humorous and helpful illustrated field guide that explains what to do in the face of fifty of our most feared— or frustrating—animals. As humans encroach on wild places, encounters with animals—from bears, bison, mountain lions, and mice to turkeys, ticks, rats, and raccoons—have become increasingly commonplace. But wait, what are the rules for facing a moose up close? Do you run from a coyote or stand your ground? How deadly, really, are black widow spiders, rattlesnakes, and sharks? Packed with expert tips, fascinating facts, and not-so-harrowing true tales (from writers like Peter Orner and Samin Nosrat), LOOK BIG is a must-have survival guide for urban, suburban, and outdoor adventurers alike. If you have ever feared the approach of a grizzly, the spray of a skunk, or an army of cockroaches in the kitchen, this book is for you.